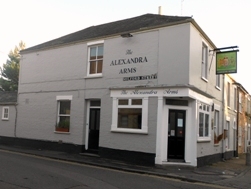 Petersfield residents may be wondering what is happening to the Alexandra Arms public house on Gwydir Street, as it has been closed for some time now… Well, I am very pleased to report some exciting news – there are new people taking over and the pub looks set to re-open on Friday 30th November. Craig and his wife will be taking on The Alex, as well as continuing to run The Free Press on Prospect Row. They are very excited about their new pub and are looking to make sure it is welcoming and has a warm cosy feel to it that customers will like. They know they are moving to an area that has some good and well established pubs, which they hope to complement whilst offering something different. The pub will be serving food and although I’m not sure exactly what will be on the menu just yet, if the Free Press is anything to go by then it will all be home cooked and locally sourced. There will also be a selection of eight real ales, including four from micro breweries. I have to admit the thing I am most excited about though is their wine list – as the list itself will be created by local residents! 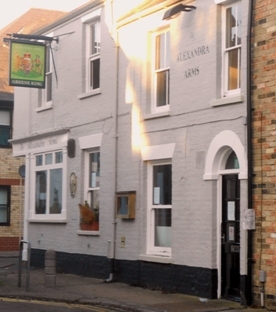 They will be holding a series of wine tasting evenings at the Free Press over the next couple of weeks (to which everyone is invited) where people will taste a variety of wines and the favourites will make it on to the Alexandra Arms wine list. This is a great idea and means you can really be involved with the pub right from the start. The planned 30th November opening date ties in very well with local activities and seems the perfect time to celebrate new beginnings – it is the day before Mill Road Winter Fair and the pub will be open on the day of the Fair itself. 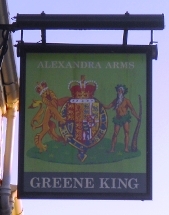 I’m looking forward to visiting the new Alexandra Arms when it opens and hope that a nice white zinfandel makes it onto the wine list… so I guess I’d better get myself along to one of the tasting evenings. Cheers!